Thursday’s ad is for Guinness, from 1951. While the best known Guinness ads were undoubtedly the ones created by John Gilroy, Guinness had other creative ads throughout the same period and afterward, too, which are often overlooked. 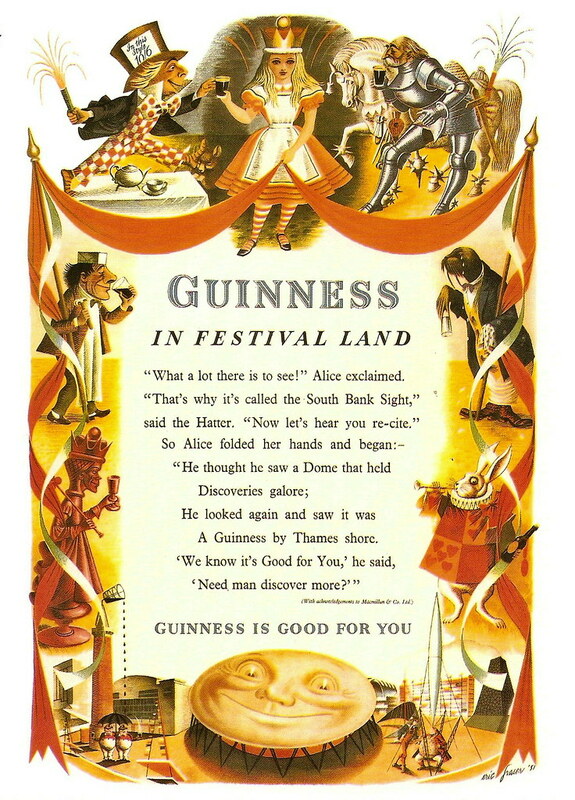 This ad, one of many that used Lewis Carroll’s Alice in Wonderland is entitled “Guinness In Festival Land,” which is the same title as a different ad with a giant clock from the same year, 1951. That’s because the Festival of Britain took place in several locations, although the main area was South Bank Exhibition, which included the Dome of Discovery, which is alluded to in the ad. There’s also more about the festival at the blog A London Inheritance. The poster was done by British illustrator Eric Fraser. Monday’s ad is for Guinness, from 1951. While the best known Guinness ads were undoubtedly the ones created by John Gilroy, Guinness had other creative ads throughout the same period and afterward, too, which are often overlooked. 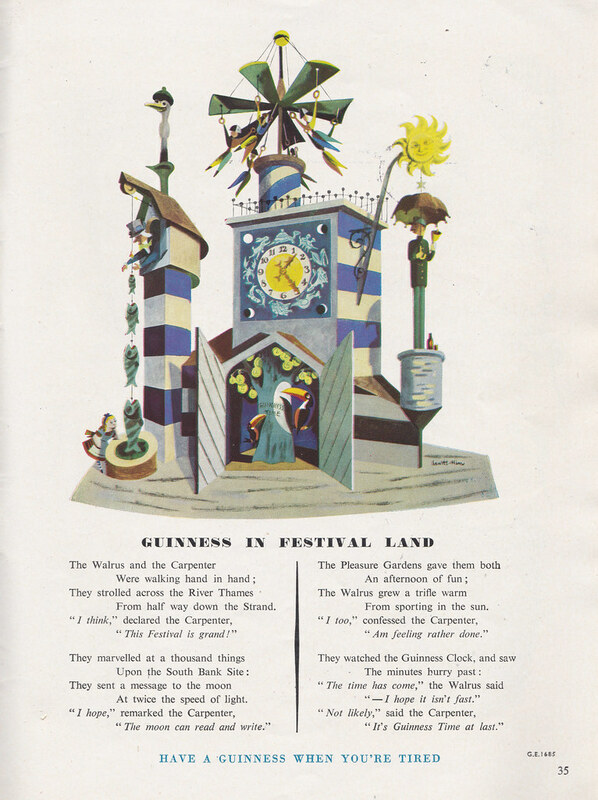 This ad, one of many that used Lewis Carroll’s Alice in Wonderland is entitled “Guinness In Festival Land,” and shows an odd clock of sorts and features a poem in the style of Lewis Carroll. 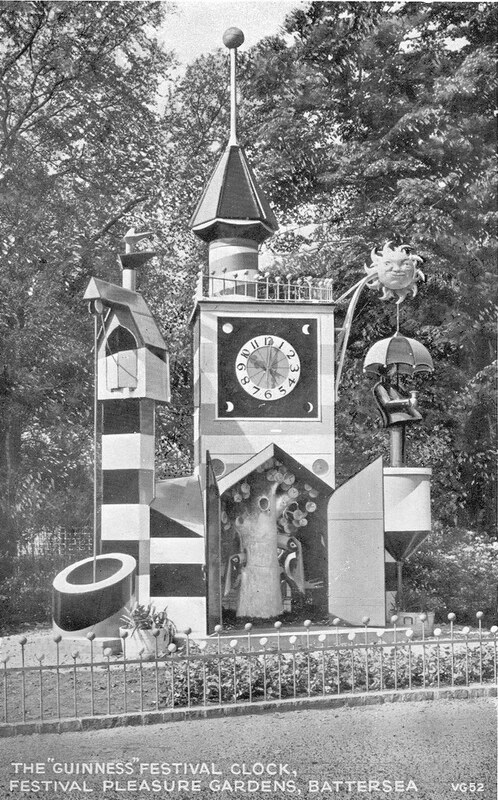 The poem is about Guinness, of course, but it’s even more about the Festival of Britain, and specifically the Pleasure Gardens at Battersea, which was held in 1951. The festival ran for several months during 1951 and appears to have been quite large. There were three beer gardens and a large area known as the parade. Along the parade, they actually built the Guinness Festival Clock from the ad. There’s a great story about the festival from the blog A London Inheritance. 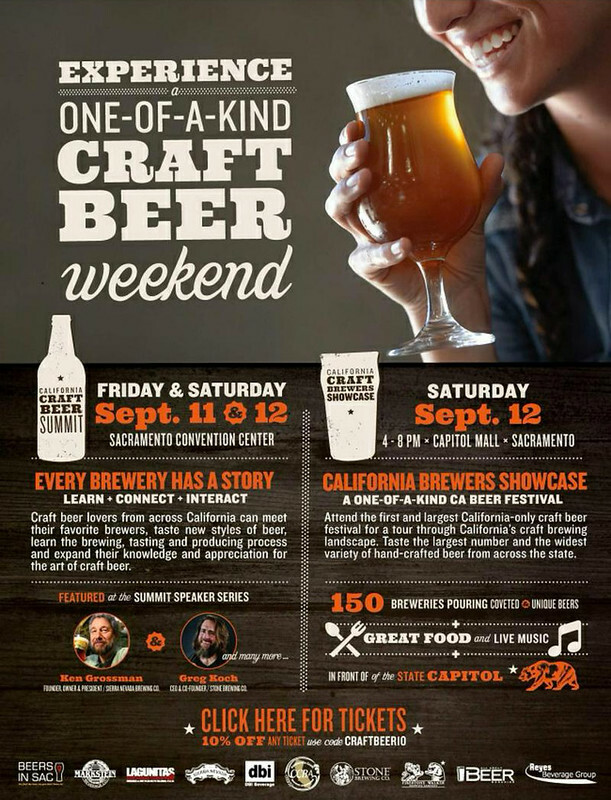 This weekend, beginning Friday September 11, the California Craft Beer Association is holding the first-of-its-kind Craft beer Summit, a two-day event in Sacramento celebrating the rise of beer in the Golden State. 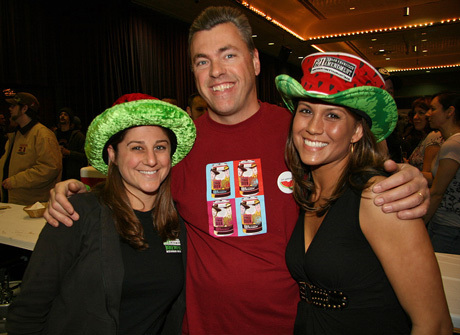 It should be an amazing event that if you’re a beer lover you won’t want to miss, and will include many different experiences, ending with the the largest Beer Festival ever held in California! But it’s also much more than just a beer festival. 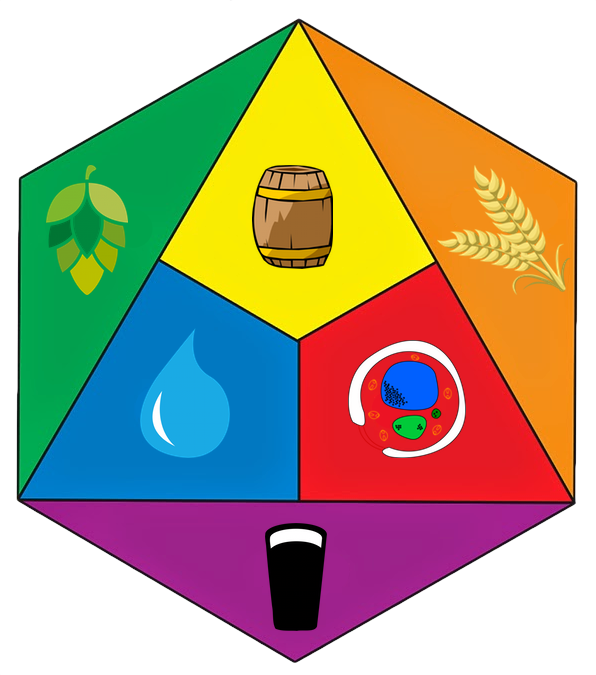 The summit will bring together retailers, wholesalers, brewery owners, beer enthusiasts and home-brewers for an educational, hands-on experience where they will be able to see, touch, smell and taste beer. 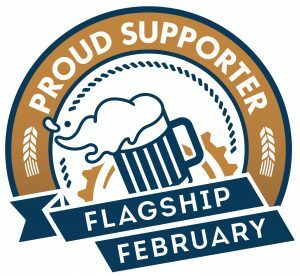 There will be Educational Seminars both days, beginning at 9:00 AM, cooking and homebrewing demonstrations, panel discussions, talks by industry pioneers and insiders (including yours truly), an Expo and much more. You can find out more about the event here, and tickets are also available online. Still not convinced? Here’s 8 Things You Don’t Want to Miss at the California Craft Beer Summit and Brewers Showcase Beer Festival posted by the CCBA. The discussion at hand is “Festivals: Geek Gathering or Beer Dissemination?” I guess it is pretty much clear, but apart from exposing whether the answer is A, B or C (the latter being “it depends”) I expect participants to give us some insight into their local beer scene to better understand the importance or irrelevance of Festivals in each area. 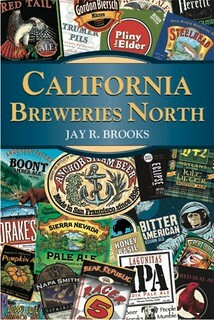 My guess is that it can be quite different depending on the popularity of beer in different countries and cultures. 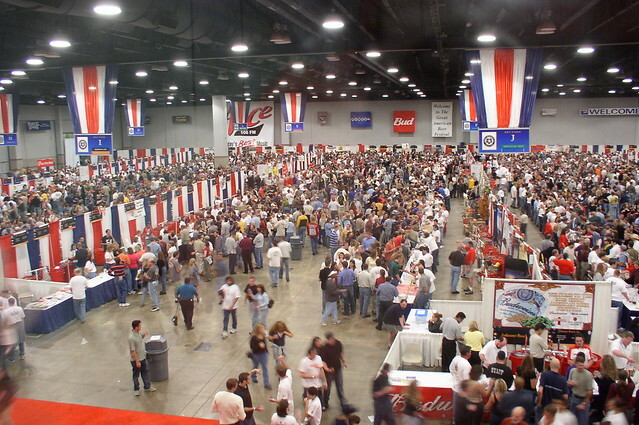 The Great American Beer Festival in 2002. So get thee to a beer festival, or search your memory banks for your festival experiences. 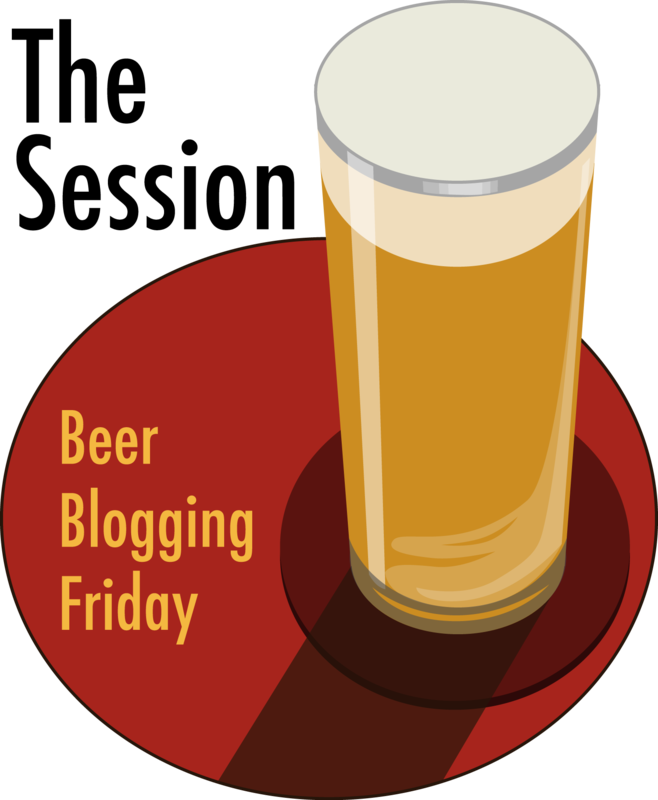 To participate in February’s Session, just wax on and/or off about your take on the humble beer fest. 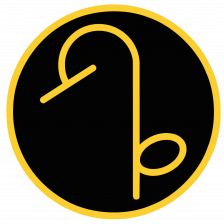 Then on February 6, post your thoughts in the comments section to Birraire’s announcement. 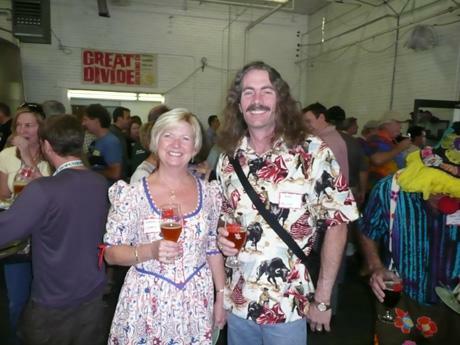 At the Toronado Barleywine Festival in 2013. 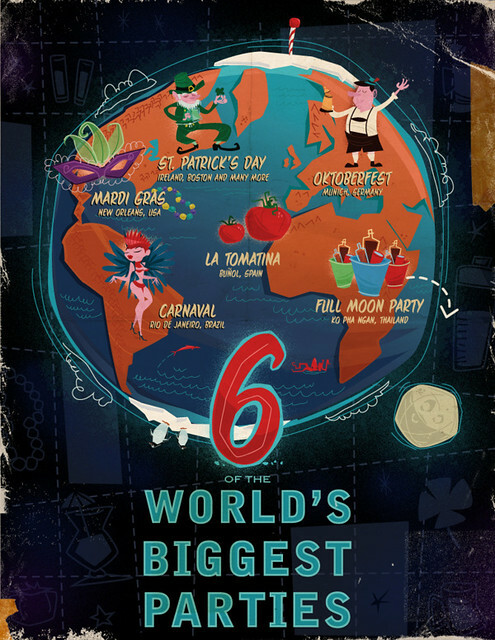 Today’s infographic is more a work of art than anything else, and illustrates 6 of the World’s Biggest Parties, one of which is all about beer, and during at least three more of them, beer is fairly prominent. Saturday began, as it always does, with a media brunch sponsored by Samuel Adams, followed by the GABF awards ceremony, which is essentially the craft beer industry’s Oscars. Afterwards, there were many side events on the last day, along with the crowded Saturday Night Session and the inevitable trip to Falling Rock to end the evening. From the awards ceremony. 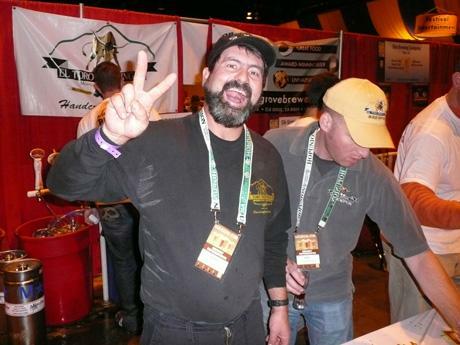 Arne Johnson and Shane Aldrich, from Marin Brewing in Larkspur, California, winning one of their four gold medals, this one for Triple Dipsea Belgian-Style Ale in Category: 61 Belgian Style Abbey Ale. 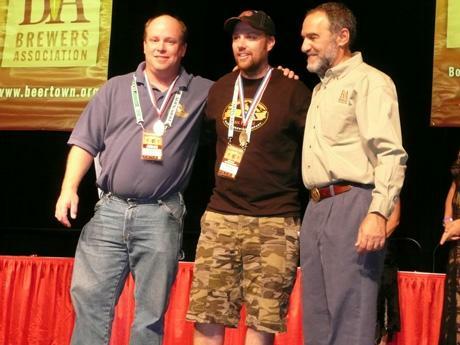 Marin Brewing also won three more gold medals, for Tiburon Blonde in Category: 59 Belgian and French-Style Ale, Pt. 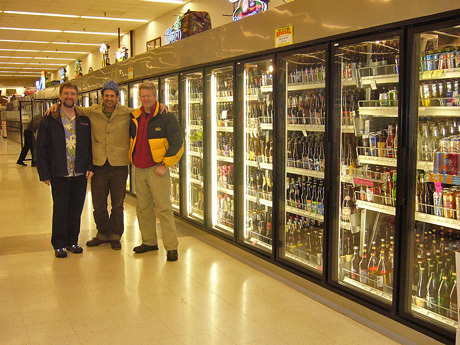 Reyes Porter in Category: 64 Robust Porter, and Star Brew Triple Wheat in Category: 74 American-Style Wheat Wine Ale. Geno Acevedo, from El Toro Brewing in Gilroy, California, at the beginning of Saturday’s evening session. 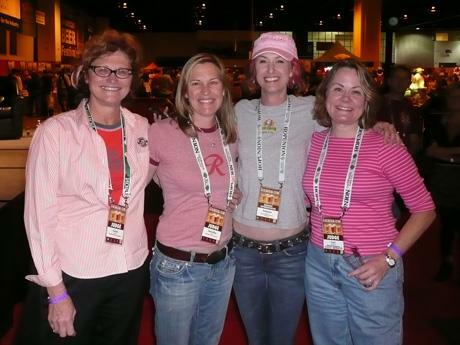 For many more photos from Saturday at GABF, visit the galleries for the Saturday Awards Ceremony and the Rest of Saturday’s events. Thursday morning began, not counting judging, with a quick trip to Great Divide Brewing‘s Hospitality Reception for brewers and the media. I’ve been going to their soirée for as long as I can remember. Then the first session began at the Denver Convention Center. The first session is not usually as crowded as later ones, but all four session sold out in advance, which is the first time that’s happened. As a result, Thursday night was every bit as packed as Friday and Saturday. New Glarus ran out of beer in less than three hours. At the Great Divide Brewery on Arapahoe in Denver, the only couple to have both won Beer Drinker of the Year, Cornelia Corey and Ray McCoy. 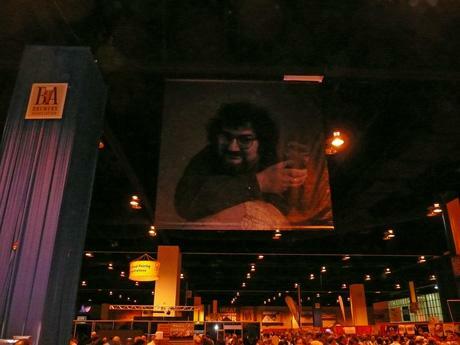 At the Denver Convention Center, this year’s festival fittingly included tributes to Michael Jackson throughout, including this large banner that hung in the center of the hall. For many more photos from Thursday at GABF, visit the galleries for the Great Divide Reception and the Thursday Night Session. I spent a fun weekend with the family attending the 10th annual Northern California Homebrewers Festival. Friday night we had a great beer dinner by Sean Paxton, the Homebrew Chef, and Saturday all day we enjoyed some excellent homebrewed beer. 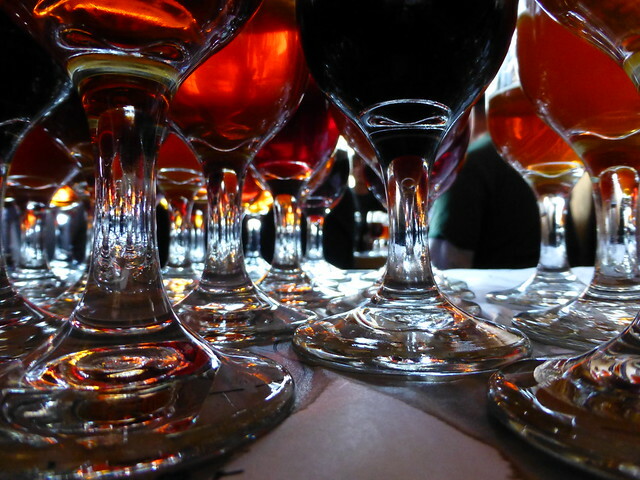 The theme for the festival was sour beers and beers made with wild yeast. Homebrew club booths at the 10th annual Northern California Homebrewers Festival. 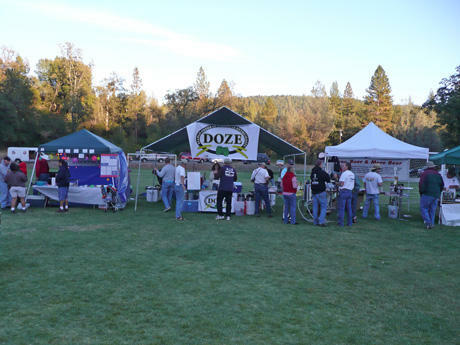 For more photos from this year’s Northern California Homebrewers Festival, visit the photo gallery. Today is the first day of Oktoberfest in Munich, Germany, one of the world’s most famous beer festivals, though the German consider it a folk festival. I confess I’ve never gone and while I’d like to go at least once in my lifetime, I suspect it’s one of those experiences where once will be enough. As has been the tradition since 1950, today the Mayor of Munich, Christian Ude, tapped the first keg signaling the start of the festivities. In German, this tradition is called “O’zapft is!” meaning “it is tapped.” The first liter of beer poured was consumed by German premier Edmund Stoiber. The festival will last sixteen days, ending, as it does each year, on the first Sunday in October. Since 1990, a modification has been introduced into the schedule so that is the first Sunday is either October 1st or 2nd then the festival will end on October 3rd, which is a holiday, German Unity Day, celebrating Germany’s reunification. This year, Oktoberfest ends on October 7. Unlike most beer festivals, it’s all day affair, with beer first served during weekdays at 10:00 am with last call not until 10:30 pm, and on the weekends things get started an hour earlier at 9:00 am. Undoubtedly even more will be enjoyed this year. In 1811 an added feature to the horse races was the first Agricultural Show, designed to boost Bavarian agriculture. The horse races, which were the oldest and – at one time – the most popular event of the festival are no longer held today. But the Agricultural Show is still held every three years during the Oktoberfest on the southern part of the festival grounds. And since the Oktoberfest is still held on the Theresienwiese, the locals still refer to the event simply as the “Wies’n”. So “welcome to the Wies’n” means nothing other than “welcome to the Oktoberfest”!